Sometimes we make small changes but it really alters the appearance of the piece. One of our customers had a watch that was really special to her, but she found herself never wearing it because she thought it looked too masculine on her wrist. We worked together to find the best solution as, of course, she wanted to be able to wear it. How about changing the strap to a brighter, more feminine colour?! 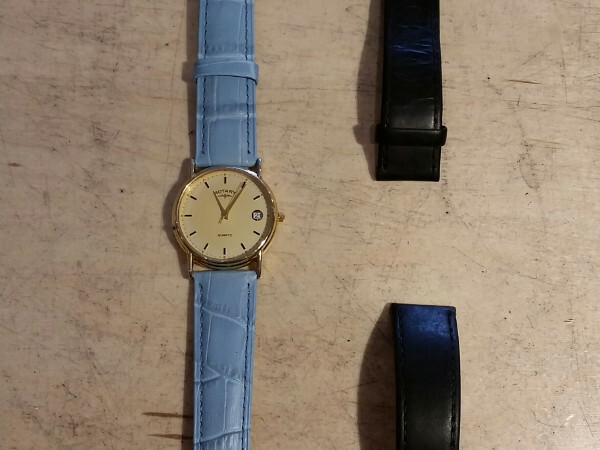 The result was fantastic; one of our colleagues changed the classic black strap for a brand new pastel blue and it transformed the watch. She can now wear the watch with pride, and in perfect time for the summer months. Our very own up-cycle project!